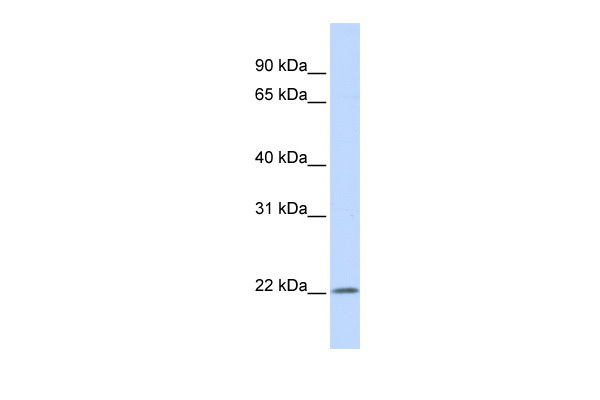 Western Blot analysis of IFNA5 expression in transfected 293T cell line (H00003442-T01) by IFNA5 MaxPab polyclonal antibody.Lane1:IFNA5 transfected lysate(20.79 KDa).Lane2:Non-transfected lysate. Western Blot analysis of IFNA5 expression in transfected 293T cell line (H00003442-T01) by IFNA5 MaxPab polyclonal antibody.Lane 1: IFNA5 transfected lysate(21.90 KDa).Lane 2: Non-transfected lysate. Immunoprecipitation of IFNA5 transfected lysate using anti-IFNA5 MaxPab rabbit polyclonal antibody and Protein A Magnetic Bead (U0007), and immunoblotted with IFNA5 purified MaxPab mouse polyclonal antibody (B01P) (H00003442-B01P).